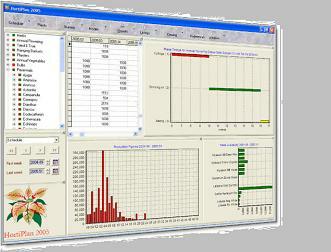 HortiBench is an extensive smart production scheduling package for horticultural nurseries and greenhouses. It helps them with the optimisation of the scheduling of hundreds of varieties of plants over the limited space available on the nursery. HortiBench works with different growing phases, growing times and environmental conditions for all these varieties. HortiBench is in use by hardy stock nurseries, pot & bedding plant nurseries and young plant producers all over the world.